On June 12, Massachusetts State Police received a report of a multi-vehicle accident. The accident was reported to police around 3:40 in the afternoon, and emergency responders including police and fire crews were dispatched to the scene quickly afterwards. This incident occurred on Route 3 north at Exit 19, Burgin Parkway. Once arriving at the scene, they discovered that two vehicles had been involved in the accident. One of the individuals had been injured in the crash, and EMTs administered medical care to this individual. The extent of their injuries is still under review, and the name of the victim has not yet been released. No fatalities were reported. The scene was secured within the hour, and traffic was able to flow normally. When behind the wheel, it is essential to remain aware of your surroundings at all times. While it can be easy to get relaxed and forget to remain vigilant, it is essential to always keep your eyes on the road. 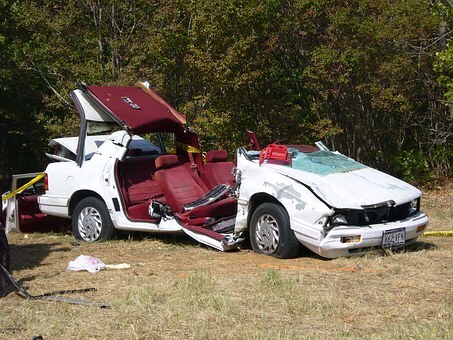 A car accident can be serious and sometimes lead to deaths. Since this is true, all drivers must do their part to drive safely and prevent an accident from happening. Attentive and vigilant driving can help keep yourself and others safe. We all have a responsibility to keep our roads safe and work together to create roads that are accident-free. If you ever get behind the wheel of a vehicle, it is your job to remain attentive and aware of the road and others around you. Negligent driving can have serious, life-changing consequences, and it can often cause devastating accidents. Accidents that happen on highways can be especially dire due to the high speeds and large volume of vehicles. Victims who are injured can seek compensation so they can heal and return to living their lives. As involved members of this community, we are dedicated to raising awareness about the potential consequences of negligent driving. At the Law Offices of Jeffrey S. Glassman, we regularly see the impacts of car accidents in the community. We are aware that accidents can happen to even the safest drivers, so we are also here to help victims receive aid so they can return to their lives.